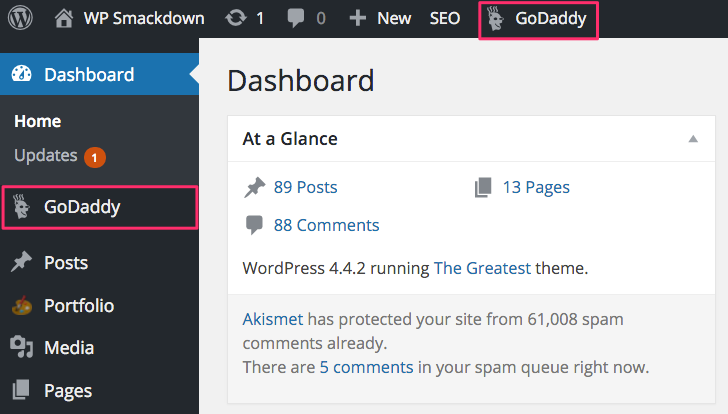 This post is over 2 years old, and there is new GoDaddy Pro WordPress hosting that is far better, and almost as cheap. Read the full review here. For a small, single site, the price for GoDaddy WordPress hosting is currently $2 cheaper/mo. than classic cPanel hosting, plus you get the above features. If your website currently resides on a classic hosting plan (using cPanel), but you want to switch to GoDaddy’s WordPress Hosting platform, let’s take a look at the steps involved. For small sites, you could complete the entire process in about 1-2 hours, depending on how much time you spend on testing (which is important, so please don’t skip that part). I recommend leaving the temporary domain selected. This will allow you to test everything before switching over. Host Location or IP Address: You get this information from your existing host. It is often ftp.yoursite.com. Or just use the IP address of your server. Your migration is now in progress. For small sites, it could take as little as 5 minutes. Larger sites could take as long as 2 hours. You’ll receive an email when it’s complete. Get WordPress hosting for $4/mo. You’ll see your migrated site listed as abc123.myftpupload.com. You know this is GoDaddy’s WordPress hosting plan because of the little W icon associated with it. Compare that to the cPanel icon on your old hosting plan. Before you switch your domain over to your new GoDaddy WordPress hosting platform, you want to make sure everything migrated over properly. In theory, this site should be an exact replica of your existing site. But as you know, technology doesn’t always work that way. Here’s a quick rundown of the things you should be testing. Use this as a starting point, not an exhaustive list. Pull up both sites side-by-side to compare. Is the correct theme activated? Are all of my theme options & Customizer settings the same? Are all of my posts & pages listed? Are all of my comments listed? What about any custom post types? Are all of my users accounted for? Are they assigned the correct role? Does my Media Library contain all images, PDFs and other uploads? Are my plugins installed? Are the correct ones activated/deactivated? Does the design look the same? Is all functionality working properly? Forms? Ecommerce? Maps? Anything else that you’re relying on a plugin to do? Are all menus & navigation working properly? Once you’re finished testing, you are now ready to make your site live. The example I’ll walk you through here is for those moving from GoDaddy’s cPanel/Classic hosting to GoDaddy’s WordPress hosting. Before you can assign your domain to your new WordPress hosting, you have to release it from your old hosting account. This frees up your domain name to be used with the GoDaddy WordPress hosting. Once updated, your new site is live! That wasn’t so bad, was it? Just to make sure you’re officially on the new platform, there’s an easy test you can do. You no longer need the temporary user that GoDaddy created in order to do the migration. Let’s go ahead & delete that account. Technically, there is no content associated with this user, but just to be on the safe side, choose “Attribute all content to:” and select one of your main Admin users. I recommend keeping your old classic GoDaddy hosting account active for a few days, just in case you run into any issues on the new plan, and need to do an emergency switch back. 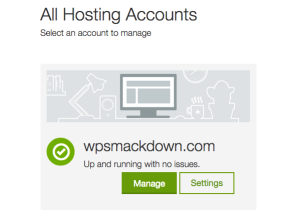 However, once you’re confident that everything is running smoothly on the WordPress hosting platform, make sure you either cancel your old account, or turn off auto-renew, so that you don’t get charged for hosting that you aren’t using. Navigate to My Account. You should see a list of all your products. If you have several months, or even years, left on your old hosting, it might be worth giving GoDaddy a call. They might be able to offer you a refund. No guarantees, but it’s worth a shot. Do this before you cancel your plan. 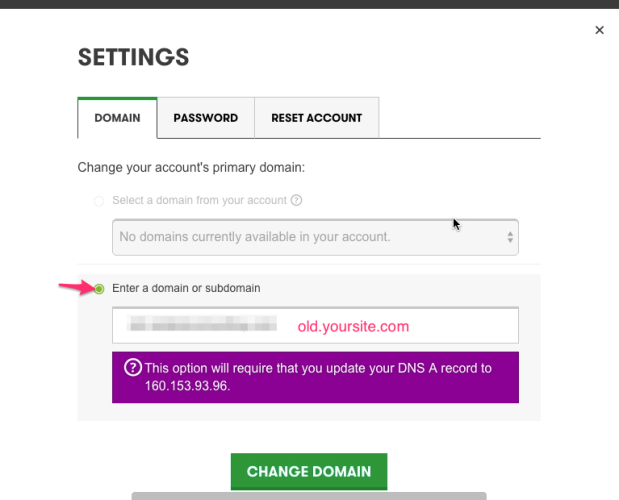 If your old GoDaddy hosting is expiring soon, or you just prefer to let it expire, here’s how you can ensure that it doesn’t auto-renew. Your changes are automatically saved. When you reach your expiration date, your old hosting account will be canceled, and all files will be deleted. It’s a good idea to grab a backup of everything before canceling your account. 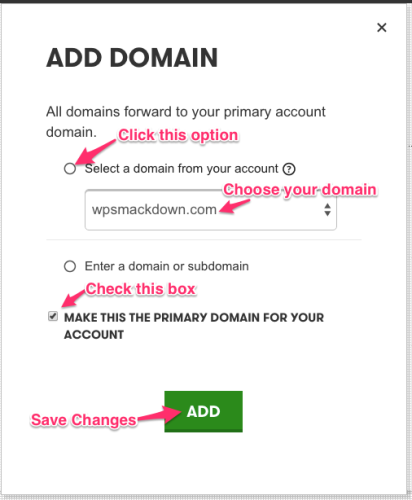 I hope you enjoyed this comprehensive guide to migrating your website to the GoDaddy WordPress Hosting platform. If you have any trouble migrating, leave a comment so I can help you out. 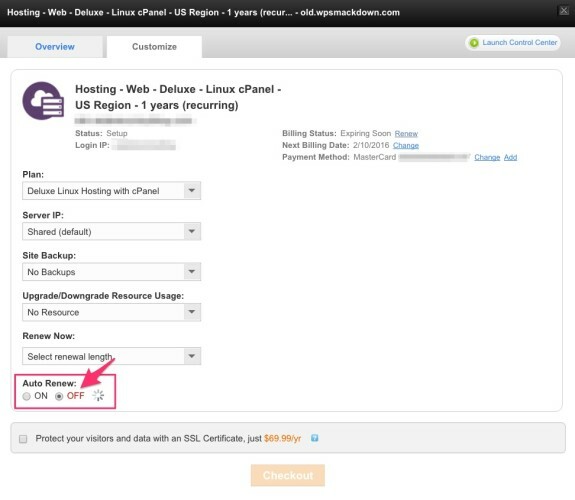 6 Commentson "How to Migrate to GoDaddy WordPress Hosting [VIDEO]"
Use the default options when exporting your database. It’s fairly straightforward when using something like phpMyAdmin to manage your local database. If GoDaddy says that’s not within the scope of their support, you’ll still need the above 2 things, but you’ll have to migrate on your own. 6. Then, in phpMyAdmin (on the live site), update the home and siteurl values in the wp_options database table. Change them from the localhost URL to the live site URL. What if the domain you were using in the c-panel host is not the same domain as the one you will be using with the Managed WP host? We registered the new domain with GoDaddy. What are the steps for using the new domain after testing? Thanks! You can still migrate the site just fine. 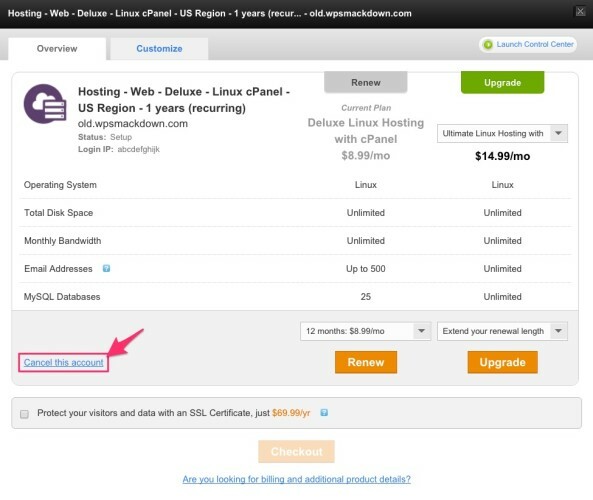 When using GoDaddy’s migration tool, it will ask you if you want to use your own domain or a temporary URL. I recommend using the temporary URL. GoDaddy will take care of updating all your site’s URLs from the old URL to the temporary URL. And then, once the migration is finished, you will go back to your domain setup, and select the new domain that you want to use. 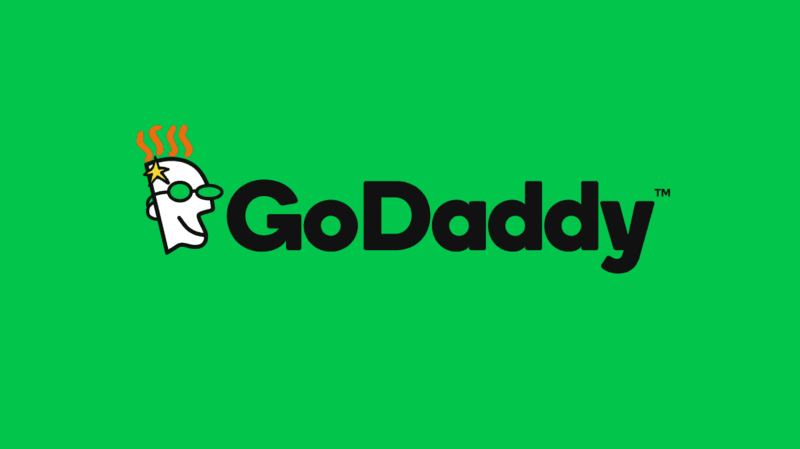 GoDaddy’s system will automatically update all your site’s URLs for you again. Holler back if you have any other questions. Good luck with it! Any chance you have updated directions with Godaddy’s site changes? The steps, sadly, are not the same anymore since the site had some cosmetic upgrades. Unfortunately, I don’t have updated instructions. The process should still be similar for GoDaddy’s basic managed WordPress. They did just introduce a Pro Managed WordPress, which I believe the process would be quite different. If you can send me a description of where you’re getting stuck, or include a few screenshots, I’d be happy to try and help get you through it.